I’m sorry for the lack of indentations. I don’t know why, but except for the first paragraph, the indentations won’t show up in the final post. I’ve tried to edit the post and re-post it, but I can’t figure out how to fix it. These cookies have a soft, slightly chewy texture with a wonderfully warm, subtle, spicy flavor. The spiciness isn’t overwhelming at all, either. Like I said, the flavor is subtle. Do you ever eat a cookie that just makes you want to melt from the taste-induced happiness? When I bit into a warm chai cookie, I just wanted to melt blissfully away. Even though there is nothing like these hot out of the oven, they’re still really yummy cooled off. Right now, I’m going to urge you, as a friend, to make an extremely profitable investment. Please procure a copy of the Cook’s Illustrated Cookbook for yourself. This is where I found this recipe. A lot of my absolutely favorite recipes come from this cookbook. I am going to talk about a pumpkin spice cheesecake soon that also came from there. I love this cookbook. It is one of my favorites, and definitely it is my go-to cookbook. There, that’s all I have to say. I’m not a paid advertiser. I’m just a very satisfied consumer. Oh, and if you do make these, don’t be scared off by the smell of cardamom. I became extremely concerned about the outcome of these cookies when I unscrewed the lid of the cardamom bottle and was overwhelmed by the Pledge-like scent. By the time the dough is all baked up, you won’t be able to detect a whiff of wood cleaner! Your kitchen, instead, will be filled with a warm, autumn, bakery smell. Really, the aroma emanating from your oven is almost as good as the actual taste of the cookies. P.S. I cheated and used 2% milk instead of whole milk, and the cookies turned out fine. I just couldn’t bring myself to buy an entire gallon of whole milk just for one tablespoon of it. 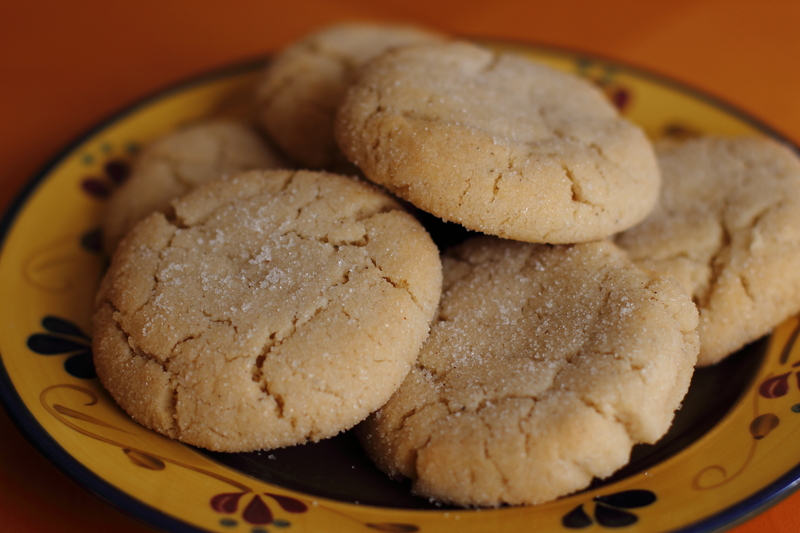 Posted on October 13, 2013 by rjoy19	• This entry was posted in Cookies, Cookies, Recipes, Uncategorized and tagged Autumn, Chai, Chai Cookie, Cook's Illustrated Chai Spice Sugar Cookie, Fall Cookie, Spice Cookie, Sugar Cookie. Bookmark the permalink. I’ve been meaning to try these. They look great! Thanks! I know I’m about a month late on this, haha, but you definitely should try these! They’re especially perfect to eat warm and fresh from the oven on a cold day.